It establishes you as an expert. On publication, the book instantly establishes you as an expert with your clients, potential clients, and peers. Authorship grabs the attention of prospective clients and experts both in your field and in other areas. They want to meet you to discuss your theories, their problems, and how you can help. Those who have read your book will know your ideas and approaches and may be looking for opportunities to work with you. A published book provides a platform for speaking opportunities. A book will get your name in front of those who hire speakers. With aggressive promotion, you should land multiple paid speaking engagements that can supplement your consulting fees and provide leads for new consulting work. 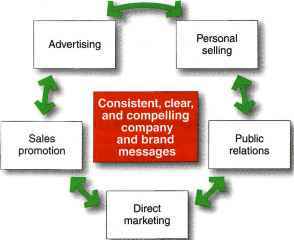 With the right publicity strategy, the media will seek you out for interviews, quotes, and television appearances. Your intellectual assets multiply. You can condense the material in your book for multiple articles. Each chapter can serve as the basis for additional research and publication. You can create speech materials from the summary of the book's theories or individual parts of the book. You can create workbooks that help readers apply the book's concepts, audio recordings of the book, and book summaries of the basic ideas. The possibilities for using a book as a source for new intellectual assets are endless.